In this day and age, there’s this misconception that very little manufacturing is done in the United States. After all, most of our computers, our electronics, our mobile phones and our textiles are either manufactured in China or in a different third world country. In fact, when my wife and I first launched our online store, we went straight to China for our goods. But recent events have caused us to switch gears with our sourcing strategy and we are now looking to buy wholesale clothing in the United States. For one thing, prices in China have gone up significantly over the years and continues to go up at a rapid pace. More and more of the Chinese workforce no longer want to work in the factories and those that remain are receiving significant raises. Communication can be a problem – In order to communicate with our factories, we either have to stay up late or wake up super early. Designing new products in China can be somewhat problematic as well. But when you source product in the United States, everything is a whole lot easier. Your vendor is just a phone call away. The timezones are manageable and in the worse case, it’s really easy to hop on a plane and visit. In addition, more and more of our customers have been looking to buy goods made in the good old USA so we’ve decided to make an effort to source product locally as opposed to overseas. A while back, I had my buddy Emmanuel Eleyae on my podcast and he inspired me to take a trip to the LA Fashion/Garment District to look for suppliers. For all of you who don’t know who Emmanuel is, he’s the founder of SatinLinedCaps.com and he produces all of his products locally. You can catch his podcast episode here. Anyway, Emmanuel sources all of his fabrics and his labor from Los Angeles and his cost of goods are actually quite reasonable. Plus, it’s refreshing to hear that you can easily find contract seamstresses and designers willing to work for a small shop. So two weeks ago, my family and I took a trip down south to the LA Fashion District in search of new suppliers for our products. Here’s how our trip went. The LA Fashion District is located in downtown Los Angeles and is known for being a creative center for the fashion industry. It’s a top destination for wholesale buyers, retail shoppers, clothing designers, fashion students and Hollywood stylists. 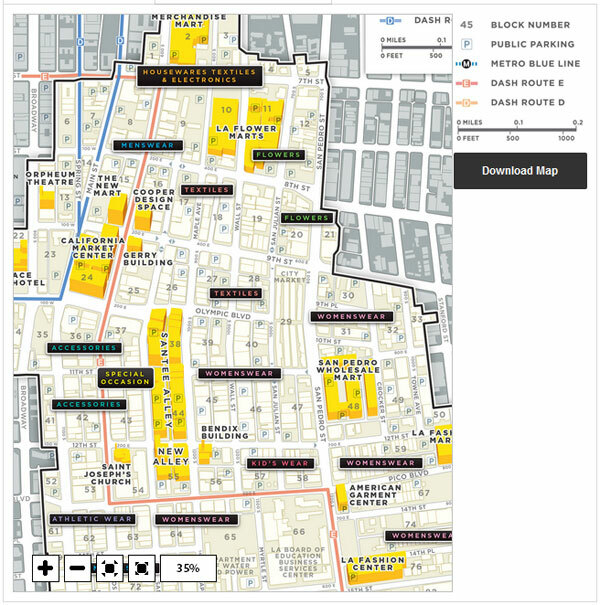 And what’s nice is that everything is all densely packed and completely walkable (the whole area is about 10 blocks square). While my wife and I didn’t cover the entire thing, we did manage to visit a decent portion of the fabrics and textiles section. 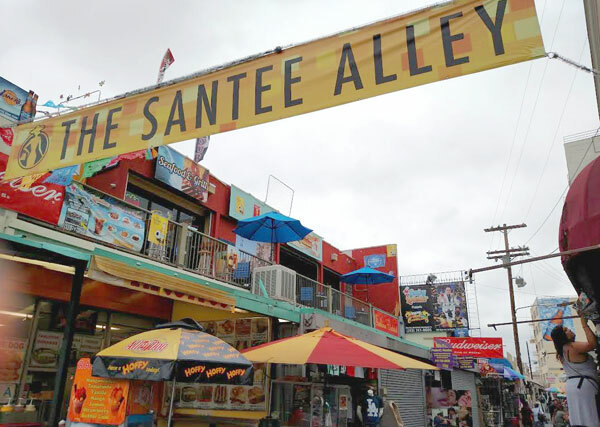 What’s funny is that as soon as my wife and I arrived at Santee Alley, one of the main streets of the district, I immediately felt like I was in China (with the exception that very few Chinese people were in sight). There were stables and stables of clothing shops and accessory stands all over the place. Merchandise was everywhere and it was quite overwhelming. If you’ve ever been to the Ladies Market in Hong Kong, you’ll know exactly what I’m talking about. Where is a good place to start? We brought along samples of our products to be created. Samples are a great idea, significantly speeds up the conversation. I prefer to think about the LA Fashion District as a treasure hunt. There really isn’t a “destination” you’re going to or “starting point.” More like steps in a discovery process to your destination. The important part is to prepare mentally to be walking around all day and stopping into 10-15+ shops… And also, never forgetting to ask “who else might have this.” Even other store visitors and not just the owners of the shops. So we took Emmanuel’s advice to heart, started walking door to door, and asked questions to vendors that sold items similar to what we wanted to sell. I remember ending up at this one gigantic fabric warehouse and learning a ton of info about the different types of fabrics and their uses. What’s funny here is that we never had to deal with any of this stuff importing from China. For our Chinese vendors we simply attended the Canton Fair, picked what we wanted from their samples and off we went. Here in the garment district, you kind of have to know what you want and then you can start asking more intelligent questions. Thankfully, my wife brought actual samples of product from our shop to show everyone so that we had something physical to refer to. But our entire journey was 100% random! To give you an idea of the randomness, we visited this one shop run by a nice Chinese lady that sold dresses and womens clothing. And the reason we stopped at her shop was because her business card indicated that she was a “manufacturer of clothing”. Anyway after chatting with her for 5 minutes, we discovered that she didn’t have what we wanted and that she only manufactured her own designs. But when we showed her some of the sample aprons we brought, she offered to help us make them. Next thing you know, we start chatting about prices and the manufacturing process and she refers us to some other people within the fashion district to talk to. In fact, our entire journey in the LA Fashion District was just one referral to the next. In any case, if you ever decide to go, be prepared to do a lot of walking and being pointed in different directions. The minimum order quantities are much much lower. Overall if you want to have something made in the LA Fashion District, it helps to have a prototype in hand to show to the vendors. That way, you can get an accurate quote for how much it costs to make. And when it comes to fabrics, it can be terribly overwhelming unless you know what type of fabric you need. In fact, you should spend sometime doing the research before you go to the fashion district so you don’t end up going crazy. But to sum it up, the experience was exactly how Emmanuel described it. You simply have to do the legwork and be inquisitive to get what you want. After all, there are a lot of people out there hungry for your business and you simply have to reach out and ask. For textiles at least, it’s worth looking to source locally at first before making a larger commitment to overseas manufacturing. I looked into the Miami Fashion District. Sounds very similar – they a no websites and you just have to walk around and find someone who will work with you! Hello I am looking for a wholesale dealer do you have samples? Just had a similar experience in the LA Fashion District! It’s a really cool district that I stumbled into when sourcing for my company. A lot of them you would never be able to find online. But so many extremely knowledgable people! I have never been to L.A. but learned how things work in U.S wholesale market thanks to your post. Thanks! I found it seems very similar to Korean garment wholesale market. I’m not sure you and other readers in U.S have heard about ‘Dongdaemun’ district in Korea, but I guess it’d be another option for clothing shop owners to consider. It’s a huge market in Korea and tons of buyers from all over the world are visiting. A lot of styles overwhelming as you experienced. Just as you explained, it needs endless legwork and inquiry in order to find the one we’re looking for. Plus, I think if you guys in U.S. are planning to visit foreign country’s market like China, Indonesia, and Korea, it’d also cost and needs help from the others. So I decided to connect local wholesalers in Korea with the potential buyers from U.S. online. If you have perhaps plan to visit Korea for the business, please feel free to contact me, or you can refer to my website to go through my service(seekstyle.net). Thanks for sharing your experience again! 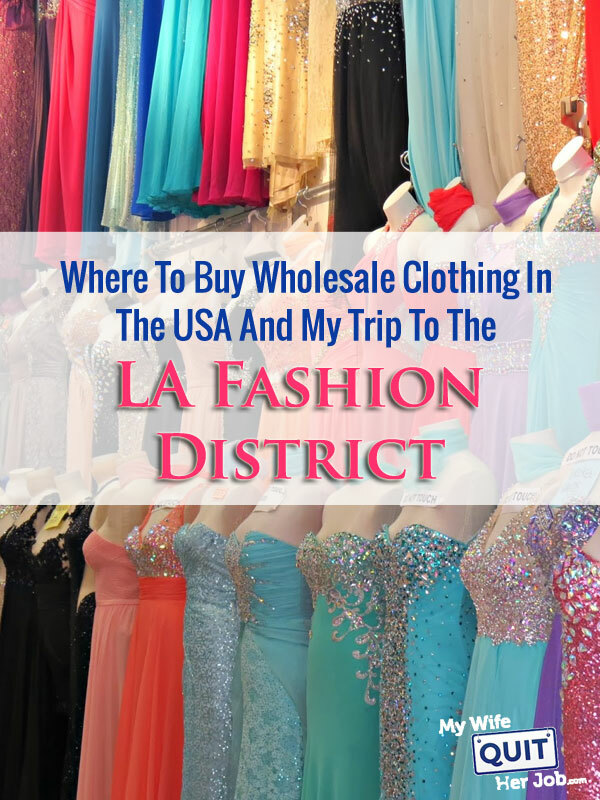 Many of the wholesale clothing stores in the LA fashion district are listed at fashiongo.com (Most that mattter anyway). The wholesalers list and sell their items through fashiongo. You will need a reseller’s permit to register though. Do you know how to have your own logo tags added to the clothes from fashiongo? Great article! I loved reading about your journey through the LA fashion district, it reminded me a lot about trying to shop on the streets of Mumbai. What really struck me about the article though, was the way in which you captured the difficulties that are involved in buying wholesale products from abroad. The fact that so much can get lost in communication and the lack of real quality checks have always been a problem in wholesale. I was wondering if you could give me your opinion on this idea we’ve been implementing on Modalyst our website. To mitigate these problems with wholesale, we allow the wholesalers on our platform to sample products using the dropshipping marketplace that we created for retailers and independent brands, so they can see what they are getting into before buying out all the stock. We also facilitate their communication through our own inbox system. If you have the time I would love to have your opinion! Thanks for sharing your story! Have you ever tried sourcing online like alibaba.com? Awesome article! Thanks of the advice. Looking to travel to Los Angeles really soon to find merchandise for my boutique. Can you please throw some light on how do B2B apparel suppliers like “Hanes” source clothes and supply them to other apparel companies like Banana Republic and so on. I am glad to introduce ourselves as a retail store in Solomon Islands, i will like to purchase some products for my business. Do you allow pick up via Courier Company or freight forwarders? Do you accept credit card for instant payments?